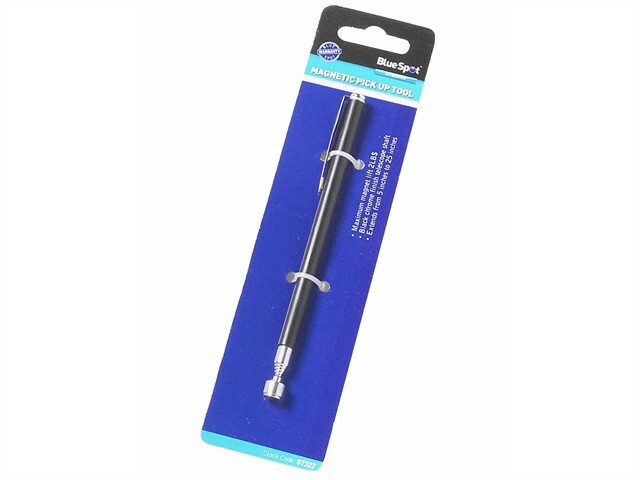 This BlueSpot Telescopic Magnetic Pick Up Tool has a telescopic shaft with a black chrome finish that extends from 125mm to 635mm. Fitted with a ;high strength magnet for a secure hold, with a maximum magnetic lift of ;0.9kg (2lb). It also features a handy pocket clip for convenient carrying.